The fastest growth always comes immediately after a good pruning. You likely witness this each spring. Cut back your plants that died over the winter and the bushes that got too big over the last summer. Then, over the next few weeks, you see an explosion of new growth. Pruning makes the plant stronger because now the root system is more than strong enough to supply nutrients to the plant. 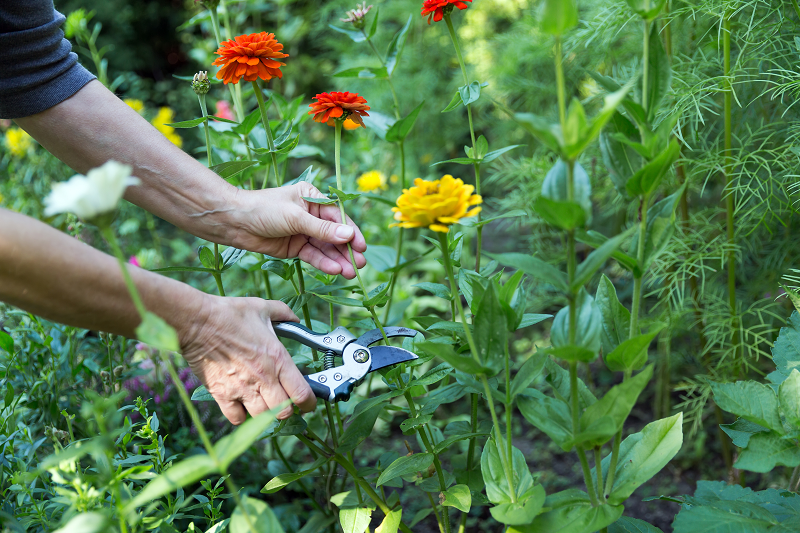 Pruning is every gardener’s secret weapon for a beautiful garden. All that pruning may be good and well for the gardener, but what about the plant that’s getting pruned? Imagine you’re a shrub that’s worked all summer to grow terrific branches. Then, someone comes along and chops your branches off! Even if you believed three strong branches would grow back in its place, do you think the plant would ever volunteer to get pruned? Would you volunteer for a good pruning? I did. I let go of two of my largest clients this month. While everything is amicable, initiating a goodbye is always a challenge for me. I think of all the work, expense, and energy that went into getting those clients. I can still remember excitedly describing their businesses to my wife, working with them, and celebrating the victories they experienced. I fondly remember the progress we made together. But people change, and so do priorities. One of my greatest talents is asking clients why they do what they do. Often, there are legacy systems that were implemented to create huge leaps forward in productivity and capability. But today, those systems are obsolete. Their usefulness has been superseded by newer, nimbler upstarts. I push my clients to reevaluate current systems to keep what works and replace the rest. You and I both wish for “set it and forget it” systems, but, eventually, what you ignore begins to erode in value. Soon enough, that huge breakthrough you invested heavily into transforms into an anchor that drags down your growth. While it’s always been easy to identify and rejuvenate these systems for my clients, it’s a challenge to turn my pruning shears on myself. In the garden, it’s easy to see the branches and shoots that need to be trimmed to spur the fastest growth. But when it comes time to cut my own branches, the real challenge begins. Rather than focusing on the growth you want, it’s way too easy to think about the work and effort that went into creating the legacy systems that need to be replaced. You spend hours creating a copy, marketing funnels, and training your people. Those processes become entrenched. Pruning is perceived more as a threat than an opportunity for growth. Life is too short to deal with crappy systems, people, or processes. This is your life. It’s not like there will be some magical switch that will make everything better. Then, after the switch transforms everything for the better, you can go back and relive today — but better. No, this is the only today you get. When it’s over, it’s gone forever. Do you want to spend it dealing with people or stuff that’s outlived its usefulness? Prune it! When you wake up thinking about some problem in your life or business, prune it! Fix the situation by eliminating it so you can instead wake up excited about what’s next. Do you have some vendor or legacy piece of software that you used for years but no longer meets your needs? Prune it! Your relationship with your members is too important to allow someone or something to cripple your efforts to deliver value. Got someone on your calendar you dread talking to? Prune it! Cancel appointments on your calendar until you are only speaking with people who you are excited to speak with. Do you have processes in your business leading to high member churn rates? Prune it! You spend too much time and money getting new members to let your systems chase off most of your new members within a few months. That’s especially true when it’s so easy to fix and turn around those poor retention rates in a short time. Pruning is never easy, but it is what’s necessary to spur on the fastest growth.